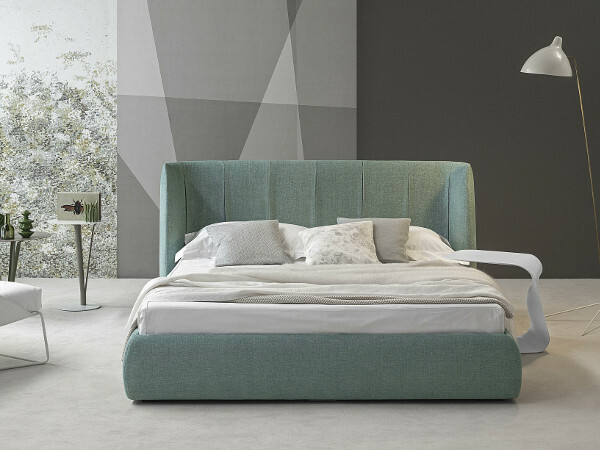 Modern bed with voluptuous curved headboard from Bonaldo. Basket Plus bed, side view. 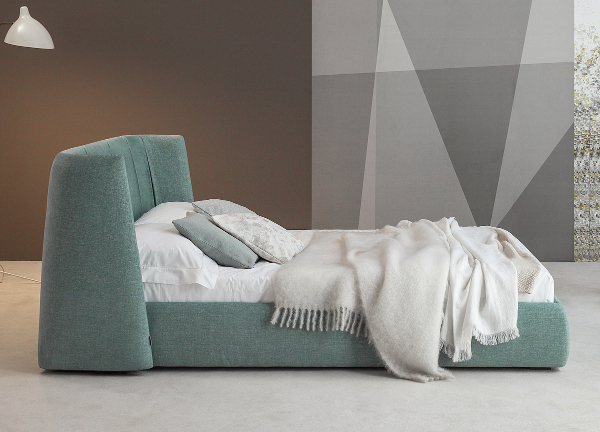 The Basket Plus double bed has a beautiful curved headboard with pleat details in the upholstery, giving a comforting yet clean modern feel. The Basket Plus is available with underbed storage - Basket Plus Open - which has a gas lift system for ease of use. 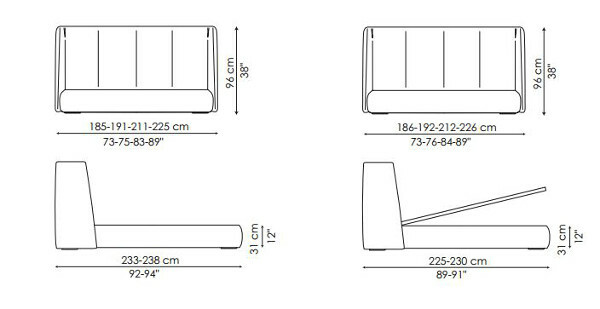 The Basket Plus can be ordered as a King or Queen size in a number of different covers. If you cannont see the option you are interested in please don't hesitate to contact us for further details by email at purves@purves.co.uk or call 020 3397 3723. Please note prices below do not include mattress. * From price quoted on category thumbnail is for King size Basket Plus bed in Eco Leather. Upholstery - fabric or leather. Samples are available in return for a £10 deposit. Wooden feet - painted anthracite grey. Silver is possible on special request.